166.99 - 184.99 USD Now available. Sold 4 in the last two weeks. 166.99 USD Temporarily out of stock. 120.99 USD Now available. Sold 3 in the last two weeks. 147.99 - 258.99 USD Now available. Sold 4 in the last two weeks. 23.99 USD 46.99 USD Now available. Sold 6 in the last two weeks. 120.99 USD Temporarily out of stock. 212.99 USD Temporarily out of stock. 184.99 USD Now available. Sold 26 in the last two weeks. 48.99 USD Now available. Sold 22 in the last two weeks. 175.99 USD Temporarily out of stock. 313.99 USD Now available. Sold 1 in the last two weeks. 123.99 USD Temporarily out of stock. 36.99 USD Now available. Sold 6 in the last two weeks. 276.99 USD Now available. Sold 3 in the last two weeks. 323.99 USD Now available. Sold 1 in the last two weeks. 64.99 USD Now available. Sold 12 in the last two weeks. Choosing the right size sleeping bag is roughly similar as with clothes: don't pick a bag too small or too large. There's more wiggling room, though, so it's not so strict: sleeping bags are often made in just two sizes or one. Here's a test how sleeping bags compare against each other in size. Psst, wanna buy a used sleeping bag? Pre-used sleeping bags are a great discussion topic for parties. 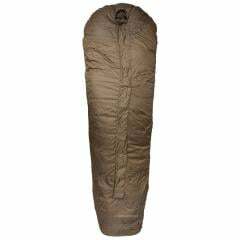 For example, military sleeping bags are often lambasted on their bulk and weight compared to warmth they provide. While this is sort of true when compared to the latest of the late in civilian sleeping bag world, you might want to stop and think before shelling out hundreds and hundreds of bucks to gain some minute advantages. You smell it too? The sweet odour of used army surplus is waiting for you! Military designs often see service for a long time before updated. This does make them feel rather bulky when the fibre technology progresses. With used bags you don't know the history of the said bag. For the record, we haven't received any complaints about bags not working like they should, but used bag is generally not quite as warm as it once was. Unbeatable price / quality ratio! These bags are made to high specs and certainly weren't cheap when they were made. Excellent dependability - simple, robust construction to withstand rough use. An additional benefit comes from the low cost: if you manage to burn a hole in the bag, it feels way less bad in a fifty bucks bag than a three hundred one. If you think you can live with the bulk compared to the latest options in the civilian market, go for the surplus option. People have used army surplus sleeping bags forever and they just work, time after time. Especially those who are not seeking to conquer the Alps will be quite happy with them, although durabilitywise the army bags can usually conquer anything.